Flea markets, jumble sales, car boot sales—they weren’t places I visited often, if ever come to think of it. Aside from the odd jumble sale put on at school for charity. And those I can barely remember. 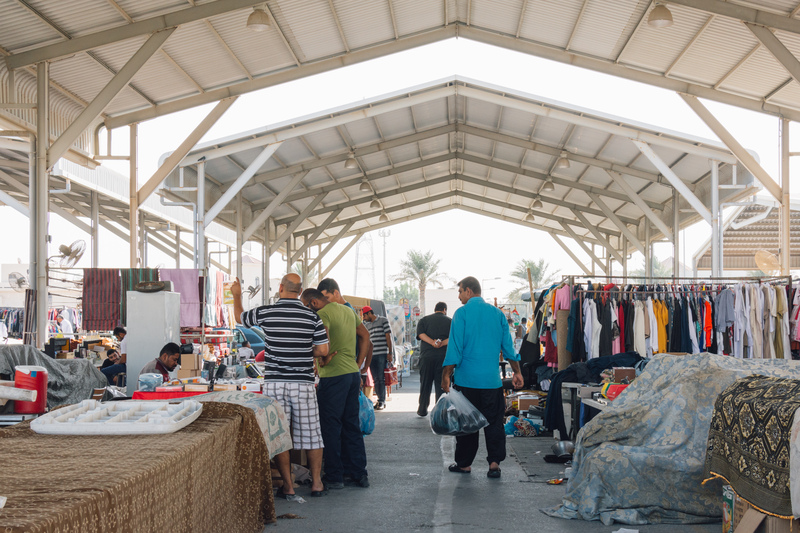 I’d heard about a flea market here in Bahrain, open every Friday and Saturday morning, and where you could find anything. Despite my previous lack of interest in flea markets, it sounded like an interesting place to check out. Clothes, pets, food, fresh fruits and vegetables, electronics, perfumes, plants, live animals that are destined for the kitchen, kitchen appliances—I could keep going. There’s not a lot you can’t find at the local market in Isa Town. I found used aircraft trolleys. You know the ones where your food comes from on a flight—yep, those! We almost went home with one of them. Haggling is expected. But things are so cheap, I almost felt bad about haggling. Or that could just be the British in me. It was an interesting place to check out. Winding our way from one row to the next. Always something interesting around each bend. looks like an interesting place to visit.